You’ve probably heard some variation on the expression, “If it walks like a duck, swims like a duck, and sounds like a duck, it must be a duck.” Well, the truth is, it’s not so simple! There are many kinds of water fowl that look sort of like ducks, and are commonly mistaken for ducks, but are not ducks at all (more about this in a future post). And…there are so many unique kinds of ducks that I find it quite fascinating to learn more about the ones I see nearby. 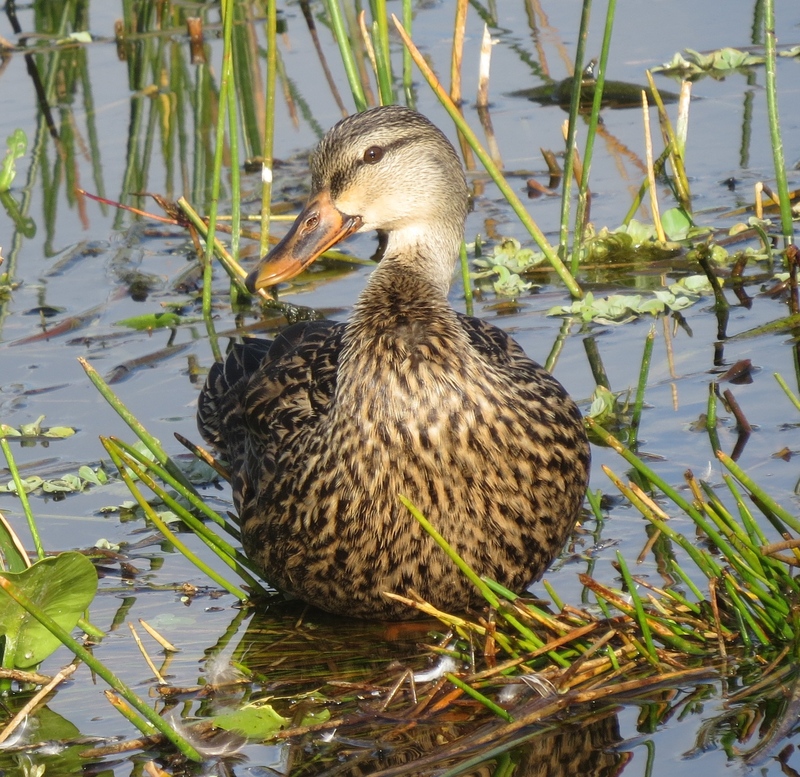 For example, the Mottled Ducks (https://www.audubon.org/field-guide/bird/mottled-duck) are common dabblers seen at this time of year in our area of southeast Florida. Yet, by appearance, they could be quite easily confused with the American Black Duck, or even with the female Mallard. Due to threats to the Wetland habitats, the Mottled Duck is on the Watch List in the 2014 State of the Birds Report, which you can read much more about here. The Perek Shira (Song of Creation), which I’ve referenced in several other posts, says that the Duck’s ‘song’ is related to having trust in God. 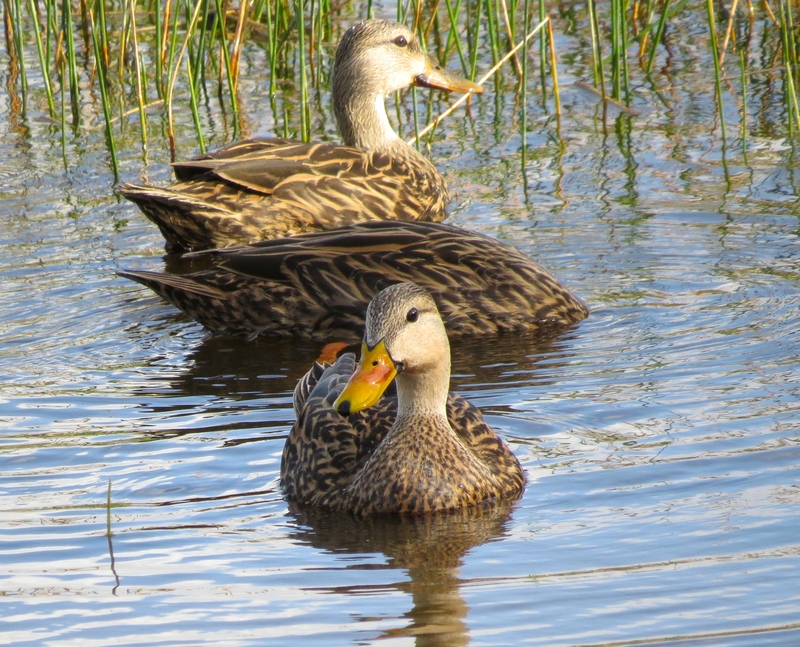 Rabbi Natan Slifkin, a scholar on the connections between Judaism and natural history, writes, “Ducks are fortunate in that they are extraordinarily versatile birds.” (Nature’s Song, p. 280). He points out that ducks, like these charming Black-bellied Whistling Ducks above (http://www.audubon.org/field-guide/bird/black-bellied-whistling-duck), show their versatility in the range and variety of foods they eat, and in their ability to adapt to multiple environments as they migrate in their search for food. 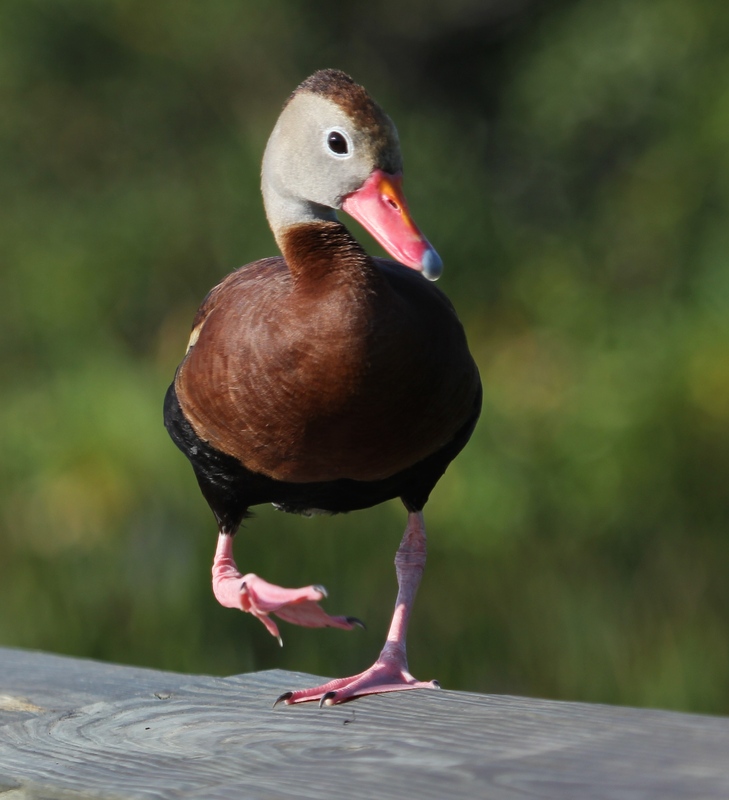 I love the Black-bellied Whistling Ducks, with their bright red-orange bills and feet, and colorful, well-coifed feathers. And yes, they DO whistle, especially as they take off and fly in circles over the ponds, and as they announce their return upon landing! 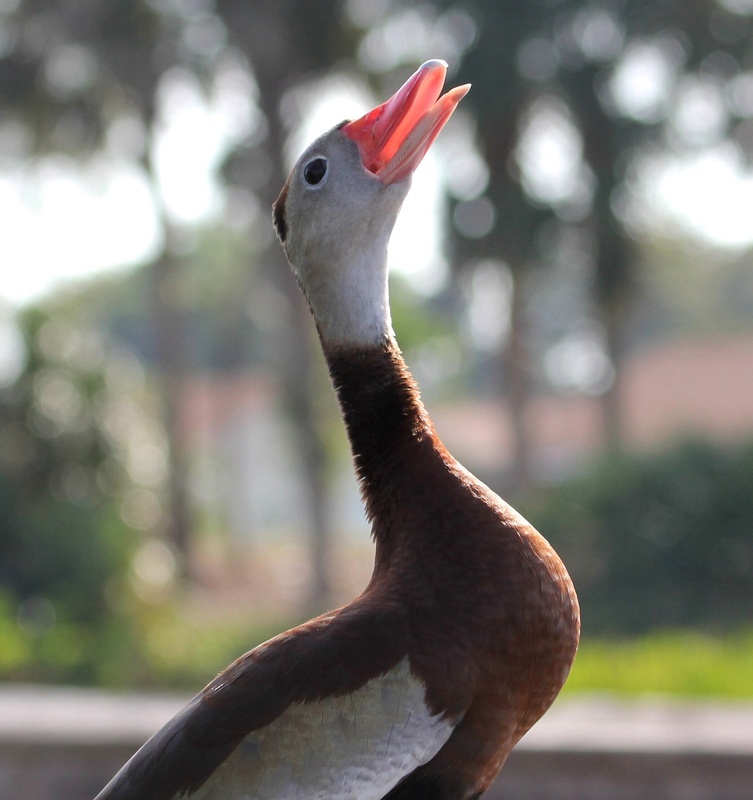 Sibley (Guide to Birds, 2nd ed., p.14) calls their whistle, “wheezy but sharp” and “softer and more musical” than that of their cousin, the Fulvous Whistling Duck. I think what also makes them especially irresistible is their posture, as they stand upright and alert like little sentinels guarding their territory. Maybe this self-confident air is related to what Rabbi Slifkin refers to as bitachon, or trust that God will provide for their survival and “sustenance amidst new circumstances.” Slifkin encourages any person who may be troubled by setbacks in life, to also have such a positive outlook and “like the ducks, . . . keep his options open.” (p.281). 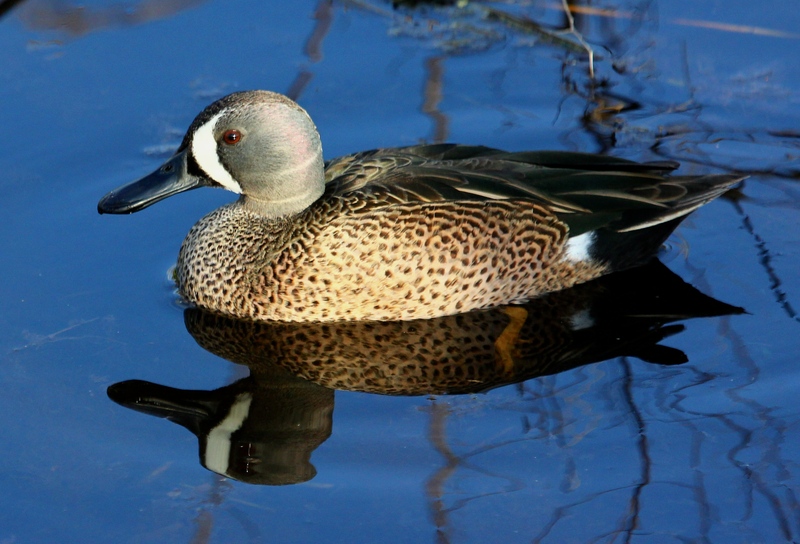 Another frequently seen dabbler in our local wetlands and marshes is the lovely Blue-Winged Teal (http://www.allaboutbirds.org/guide/Blue-winged_Teal/id). 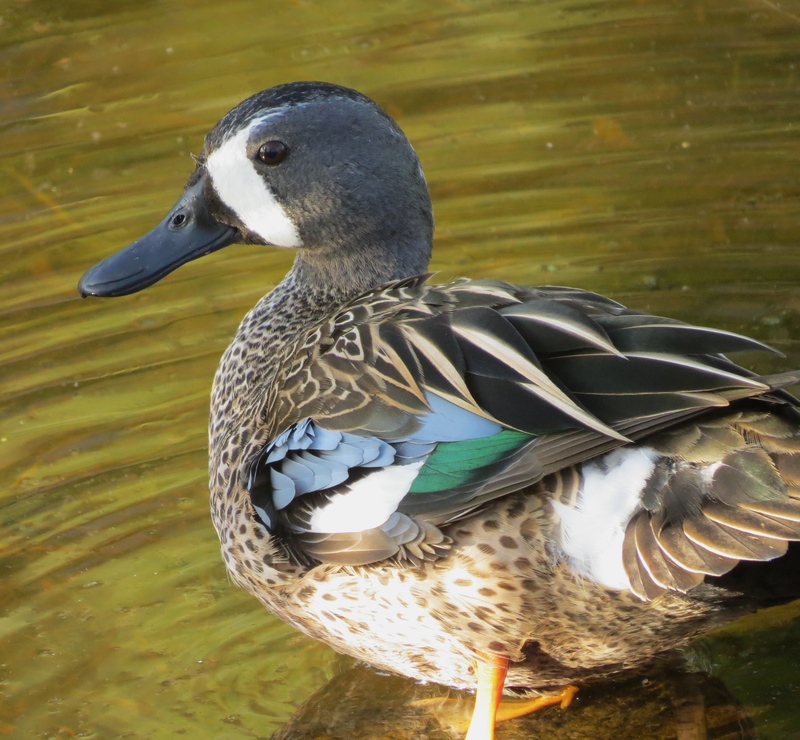 This duck used to confuse me as I always thought of ‘Teal’ as a sort of turquoise color – but here, ‘Teal’ refers to the type of duck, not the color. 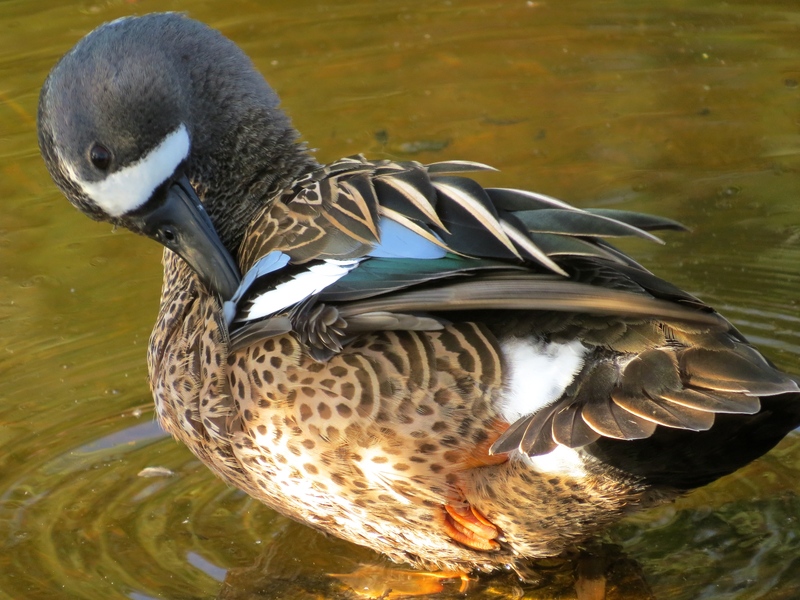 And to make matters more complicated, the male Blue-Winged Teal only occasionally shows his colorful feathers, which actually happen to be both blue and green. On top of that, there is another duck called the Green-Winged Teal, too – but he looks entirely different, with a very brightly patterned, reddish-brown and green head. 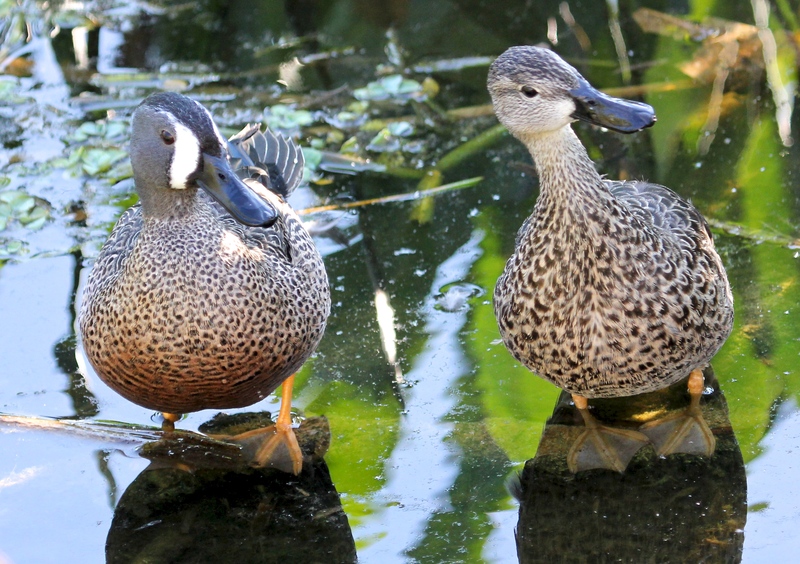 According to All About Birds, the Blue-winged Teals are “the second most abundant duck in North America, behind the Mallard.” They are often seen swimming around in pairs, or even in foursomes, sometimes looking a bit comical as they chase one another and paddle along in tandem. Admittedly, though, the male is quite handsome and debonair when he floats by, solo! This entry was posted in Birds, Judaism-Birds Connections, Marsh/Wetlands and tagged Black-bellied Whistling Duck, Blue-Winged Teal, Mottled Duck, Perek Shira. Bookmark the permalink. Wonderful shots of the ducks! Love the BBWs! 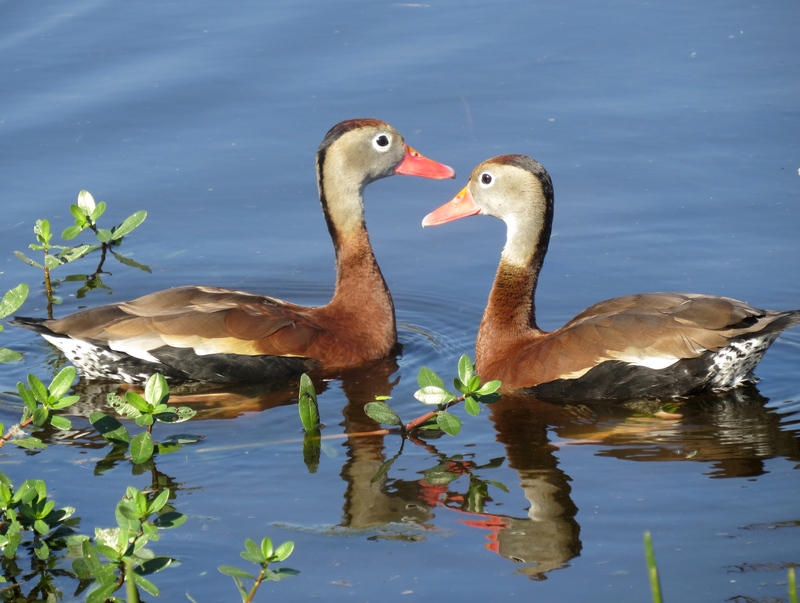 Sometimes those blackbellied whistling ducks are real characters! I really enjoy watching their behaviors, and getting to know more about them all. 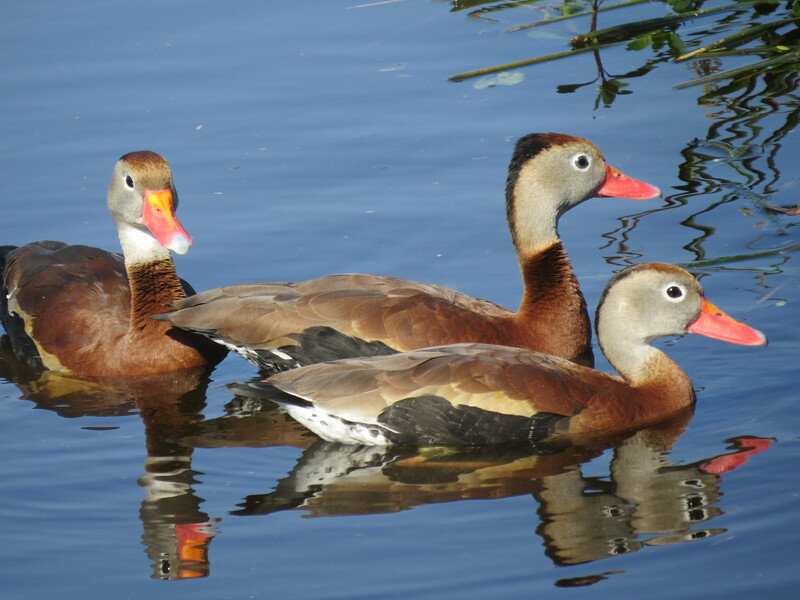 I love whistling ducks, we have different varieties here, but they all look so splendid. So also do your teals. Thanks for sharing. The more I learn about different kinds of ducks, the more I realize how much I’ve always taken ducks for granted :-). Thanks for your visit! I love all your duck photos. I happen to have a fondness for ducks and the eagles in our area come because of a duck buffet. I feel very bad for the slow moving and often starving dabbling ducks. Ice makes it hard for them to get food. As for ducks looking similar, I get confused sometimes too. Some of them look so much like others and some interbreed making a hybrid duck. I always have to ask my birding friends when I find one of those weirdly marked ducks. Thanks for your thoughtful comments, Donna. I am glad to say that these ducks are well-nourished, lively, and strong while they are down here in the warm south. I am looking forward to seeing the babies again~! Last year, we saw many delightful little groups of black & yellow striped Black-bellied Whistling Duck chicks.